On Tuesday, the Wife and I drove 850 miles in 15 hours to visit her aunt and uncle on their farm in Missouri. It was a daunting voyage, to be sure, and for a time we felt we may have to live in the car. Sorry, no new comic today. I spent all day Monday running around preparing for our trip to visit family for Christmas, and we are leaving at 5:30 Tuesday morning. Getting a comic done was not in the cards. If you want to be entertained, you should go buy my book. 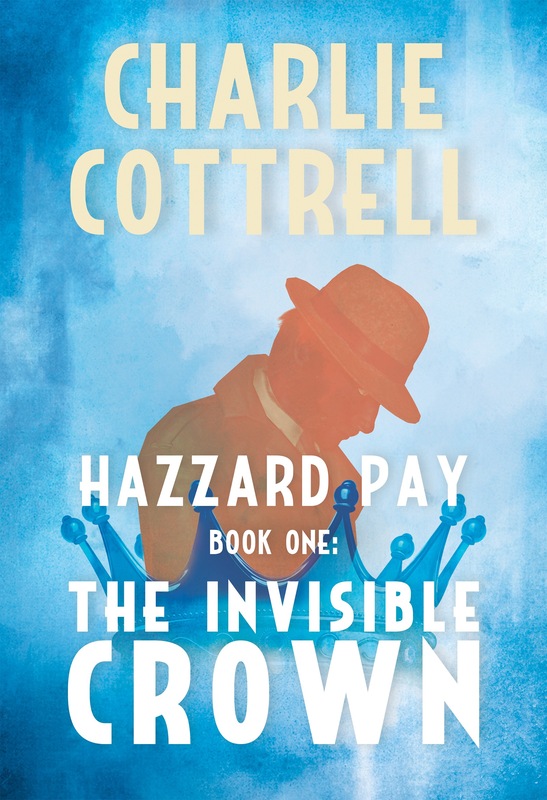 As of today, my novel The Invisible Crown is finally available! Go buy it now! Do it! Happy birthday, Meredith. You’re the best sister-in-law living in our townhouse. I came home to find the Wife watching this. It received a ridiculous number of critical accolades, and I just…cannot understand why. It’s not even a particularly good example of the crime procedural style. If you want one with a crook working with the authorities, try White. Ollie, which at least had a sense of humor about itself. Don’t expect this to ever happen. Ever. Is there anything sadder than a balding man with a ponytail? I don’t think there is. Though my head is really damn lumpy, guys.